Could you imagine what it would be like if Tom Hanks, Kevin Smith, Seth Rogen, and Phillip Seymor Hoffman, were all geeks, and recording a podcast together for the internet? I can. And so to can my podcasting buddy, Josh, too. Here, check out this conversation we both had only the other day, whilst imagining Paris Hilton, Lindsay Lohan, and Kim Kardashian... errr... doing stuff. 1) What are your own origins Josh? Plus what path did you take in life to get to where you are today? Hi. I'm Josh. The Host of the JustUs Geeks Podcast. I'm a Dad, a Husband, and a graphic designer. I've always been a tech / geek guy, so being a part of a group of geeky guys who does a weekly podcast is only natural. 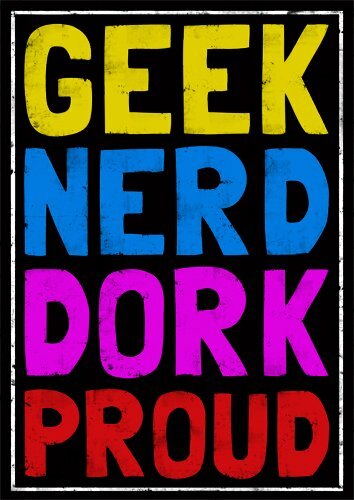 2) What inspired you to create the ‘Just Us Geeks’ podcast / website? We strive to bring you a great podcast on a weekly basis that informs and entertains you. Our slogan is that we are "your daily dose of everything geek"; that's why we do this. The four of us are very passionate about all the areas we cover, and we want to bring content you need and want to hear every week. 3) How did you meet up with your collaborators, Jared, Brandon, and Marty? Now I have been friends with Jared for several years, and I actually became friends with Marty because of Jared. Marty was a last minute replacement Groomsmen in Jared's wedding, and we've been great friends since. I knew of Brandon for years because we went to the same high school together (he's younger and the youngest of us), and through the blogging site Xanga.com. Plus, actually knew of Marty through that site as well. The four of us had gotten together once or twice over buffalo wings and decided to do this. Another thing that you might not know is that we have, sort of, a hidden member of the JustUs Geeks! Our Governor of Audio & Technical Ministries (Sound and Production Executive Producer) is an old friend of mine from college that I absolutely COULD NOT do our show without. His identity if fairly secret, but we wouldn't have the sound we have or be able to do the skits and the production we do without him. 4) What have you learnt about each other during this collaboration together? Ha! What a question. I know that I can count on all of these guys for ANYTHING. They are my greatest friends. We've had a lot of growing pains, some constructive head-butting, and we are all working towards the same goal. 5) If ‘Just Us’ was a a piece of music or an object, what would it be and why? We'd be a Transforming smartphone that plays Nintendo games. 6) If a movie was made about your podcast, what actor would play who, and again, why? Gah! What a question. I have no idea how the other guys would answer, so I'll use this question this week as our opening question on the Episode 27 podcast. But, I'll try to answer it the best I can AND I'll bend the rules to allow for older dudes playing us...it's just gotta work that way. Me: Tom Hanks is my immediate choice. Or Brian? Cranston (Breaking Bad). Though if it had to be a musical -- totally Matthew Morrison from Glee. 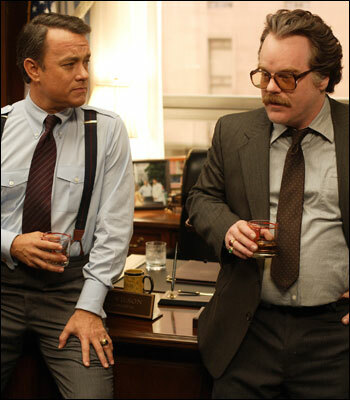 Marty: Phillip Seymor Hoffman. Brandon: Seth Rogan. And Jared: Kevin Smith. 7) What smell would you say best represent ‘Just Us’, and why would this be the case? Buffalo wings wrapped in bacon. 8) What was the first comic book you’ve ever read? And what can you still remember about it? The first comic I remember reading was a TMNT comic, and I don't remember all that much about it. 9) If you, Jared, Brandon, and Marty, were all stranded on a desert island together, who would be the first person you’d kill and eat? This is easy. There's no way any of us would have the energy or the testicular fortitude to do it. However, I'm our resident chef ( I love to cook. Gordon Ramsay -- culinary hero.) and I could probably pull it off I guess. Hmmm? I'm going to say Marty would have to be the one to go. That sound's bloody lovely Josh. I'll have a Marty-wing when one goes spare? Ha! So there you have it dear reader, www.justusgeeks.com. Please don't forget to check it out when you have the chance. Plus of course you have to do the tweet-tweet / face-face thing too.